•	Study U.S. geography, weather patterns, the economics of wind energy, and issues around the use of wind turbines as an energy source. •	Learn about how Earth’s spheres—including the lithosphere, hydrosphere, atmosphere, and biospheres—interact and how to observe and measure them. •	Be challenged to develop a wind farm. 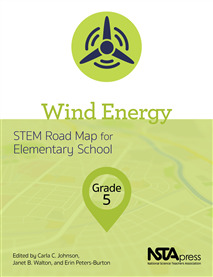 Working in teams, they will analyze the wind energy potential of a possible location. Then, they will create a proposal that considers the wind farm’s cost, energy production, and environmental impact. •	Deliver their presentations to garner support from the wind farm’s surrounding community and potential investors.